And so, with the release of Feedback Hub app version 1.1702.653.0, we are very excited to announce a new "My feedback" view within Feedback Hub. 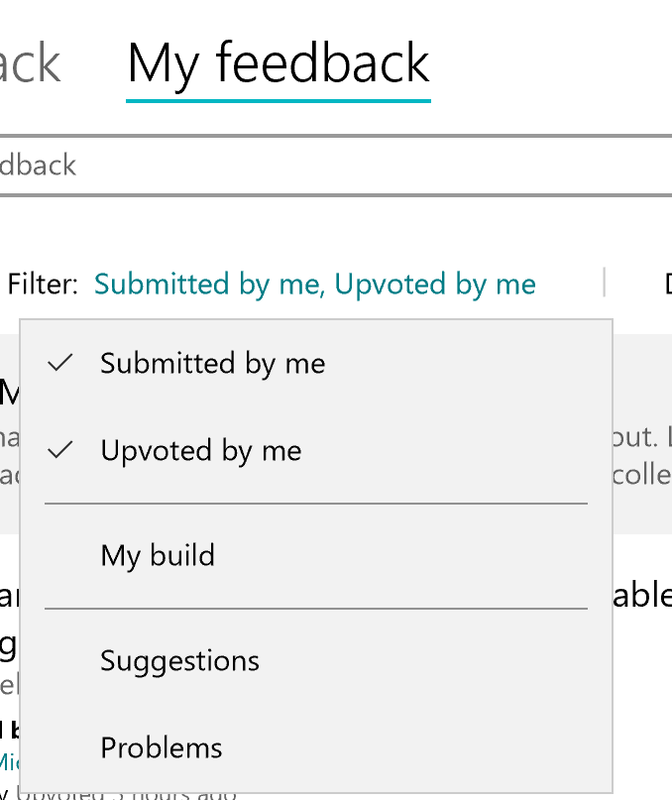 This view is dedicated to making it much easier for you to keep track of feedback you have submitted or upvoted. You can find this view in both the Desktop and Mobile versions of Feedback Hub. Additionally by default, results you see in the “My feedback” view are sorted by activity. This means your feedback with recent activity are at the top and easy to find. Activity includes getting upvotes, getting comments, or a Microsoft response. You can also sort by trending, most recent, and most upvotes. We show you the last activity on your feedback in the default view making it easier for you to quickly understand recent actions on your feedback. You feedback is tagged with “Submitted by me” or “Upvoted by me”. 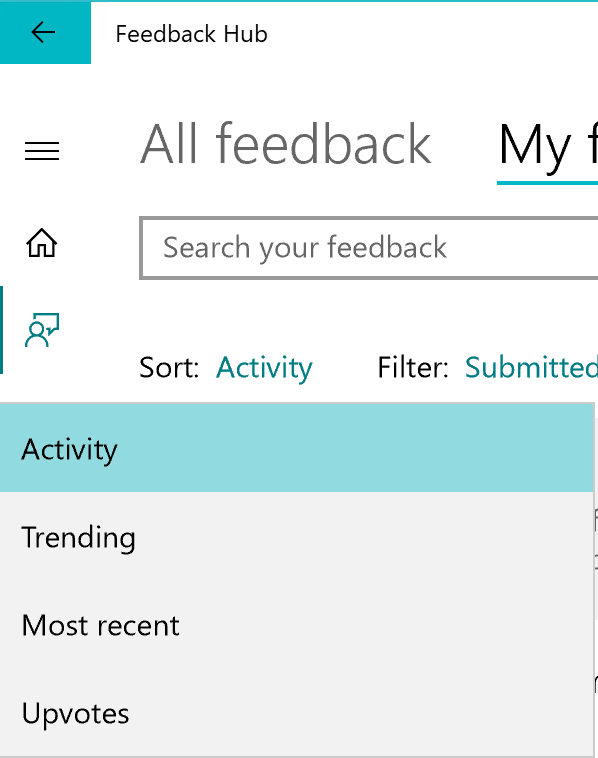 Please explore the new “My feedback” view and let us know what you think! You can provide us feedback on “My feedback” view here. We're listening!